Corbis Corporation, a private company owned by Bill Gates, owns the electronic reproduction rights to more than 80 million images, of which a portion are made ­available for ­purchase via www. corbis.com. Corbis also owns a large number of photo archives. In 2001 the company stored ­millions of original ­photographs, negatives, prints, and slides in Iron Mountain, a hermetically sealed, underground storage facility in Pennsylvania. Its ‘cold storage’ stops the chemical deterioration of the images. Is Gates the saviour of the visual memory of the modern era, or a megalomaniac claiming a monopoly over this memory in an unprecedented way? What is the nature of his archive, and what are the implications for art and culture? 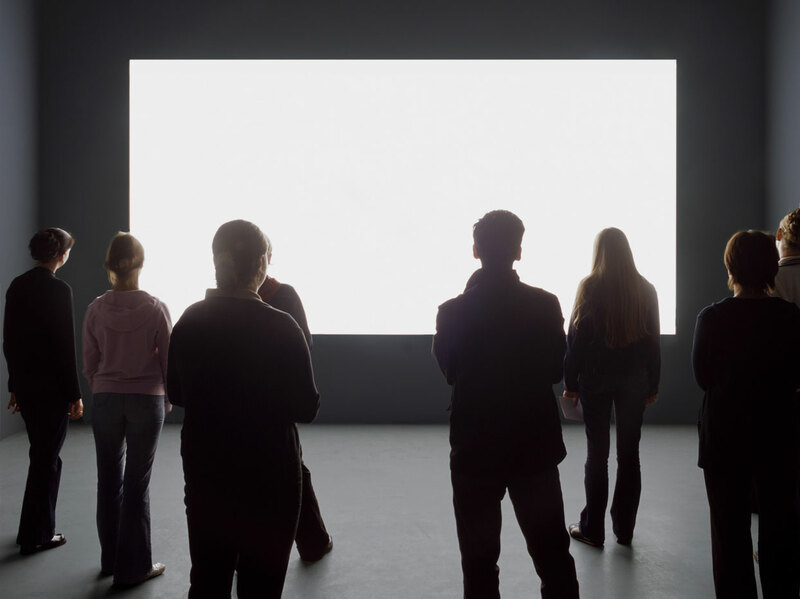 Alfredo Jaar, Lament of the Images, 2002, installation. Three luminous texts in a darkened room; a room with blinding light. © 2012: Alfredo Jaar, New York. Alfredo Jaar, Lament of the Images, 2002, installation (detail). The other two texts concern, respectively, Nelson Mandela, who was forced to work in a limestone mine, and the Bettmann archive in the limestone mine in Pennsylvania. In this age of ‘frictionless capitalism’, there is actually never much publicity about the large-scale transactions that Bill Gates performs with historical and contemporary images (documentary photos, news photos, art photos, fashion photos, advertising photos, illustrations, digital representations of museum art, etc.). He buys them by the millions, originals and/or digital reproduction rights, stores them, makes digital versions of a selection, and then sells them via the website of his ­private company Corbis Corporation, an image copyright company, image bank and photo agency all rolled into one. Of the about 80 million images in the Corbis archive, about 3.5 million digital reproductions are currently available on www.corbis.com. Corbis is also one of the largest news photo agencies and has its own photographers working all over the world to add to the image catalogues of the company. One illustrious component of Gates’s mega-archive is the Bettmann collection, to which Corbis owns the copyrights. The German Otto Bettmann (1903–1998), inventor of the ‘image resource business’, escaped the Nazi regime in 1935 and fled to the United States, taking his news and documentary ­photos, engravings, drawings and art reproductions. There he expanded his archive to more than 11 million images, including many ‘icons’ of the twentieth century, such as Einstein sticking out his tongue, Winston Churchill giving the V sign, Marilyn Monroe with her dress billowing up and Jimi Hendrix at Woodstock. Bettmann’s archive was housed in New York and grew into one of the most important sources of images for researchers and media. In 1995 Gates bought the entire archive. Subsequently he became the owner of 10 million news photos from United Press International, the photo agencies Sygma (30 million images) and Saba Press (1 million images), and owner of the digital reproduction rights of 25 million works of art from institutions including the Smithsonian, the National Gallery, the Hermitage, the Philadelphia Museum of Art, the Russian State Museum, the Seattle Art Museum, the Kimbell Art Museum and The Barnes Foundation. And this is but a portion of a ‘chronique scandaleuse’ of which the end is not yet in sight. The goal of the Corbis enterprise is in fact ‘to capture the entire human experience throughout ­history’, as a spokesperson for the company put it. In 2001 Gates transferred a number of his archives, including the Bettman archive, to Iron Mountain, a climate-controlled depository 70 metres underground in Pennsylvania. One of the reasons for the massive transfer of the images to Iron Mountain, a transaction that took place in secret for the most part, was the fact that the original photos, prints, negatives and glass plates, for instance in the offices of the Bettmann archive, were deteriorating due to all manner of chemical processes. Iron Mountain Incorporated, the market leader in records and information management, provides ‘cold storage’ in its vaults, which can stop the process of deterioration and rotting. Iron Mountain is housed in what was once a limestone mine; it later served as an atomic shelter and in the 1960s the US government stored secret information there. The Iron Mountain Incorporated company eventually bought the mine to hire it out as storage, conservation and security facilities to the US Defense Department, the US national archives, big corporations and film studios. Gates is not the only one to amass images on such a scale; Getty Images (owner of more than 70 million images and 30,000 hours of film) is another big player in this cunning game for the visual ‘content’ of the world. Corbis, however, exhibits a number of characteristics and paradoxes that make Gates’s enterprise all the more attractive as a cultural case study. To begin with, there is the economic and cultural conflict of interest, on a worldwide level. Corbis, after all, is the ­private property of a man who, through Micro­soft, dominates another area of the world market as well. This man is also an ­influential private art collector, for instance purchasing Leonardo da Vinci’s Codex Leicester for $30 million. With Gates, private and public interests intertwine in a truly postmodern way. All of this raises questions about in whose hands the power over the public and the ­collective memory lies, and about the outlook for the future of the (artistic) image. For what does it mean when a large portion of the public and visual domain ends up in the hands of private entrepreneurs? 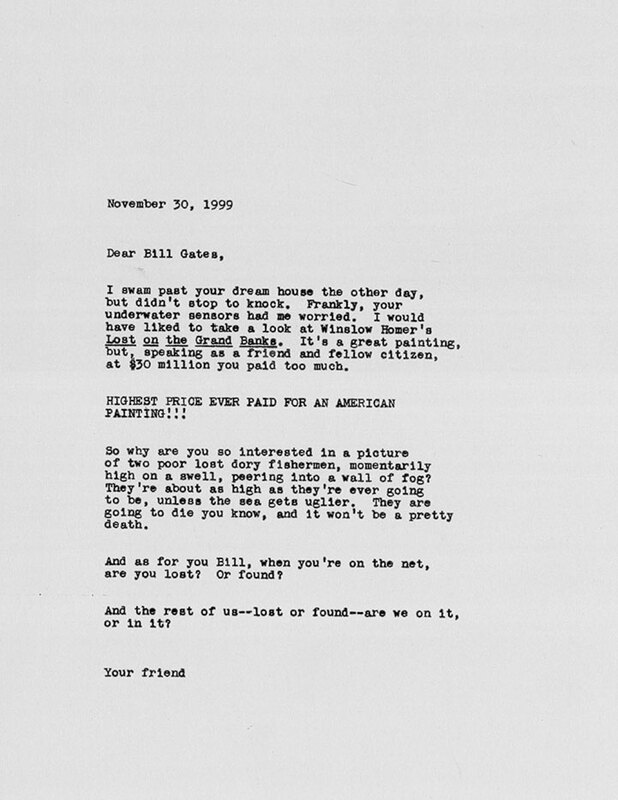 Allan Sekula, Dear Bill Gates, 1999, installation. The work consists of three photos, a reproduction of Lost on the Grand Banks by Winslow Homer and a letter. 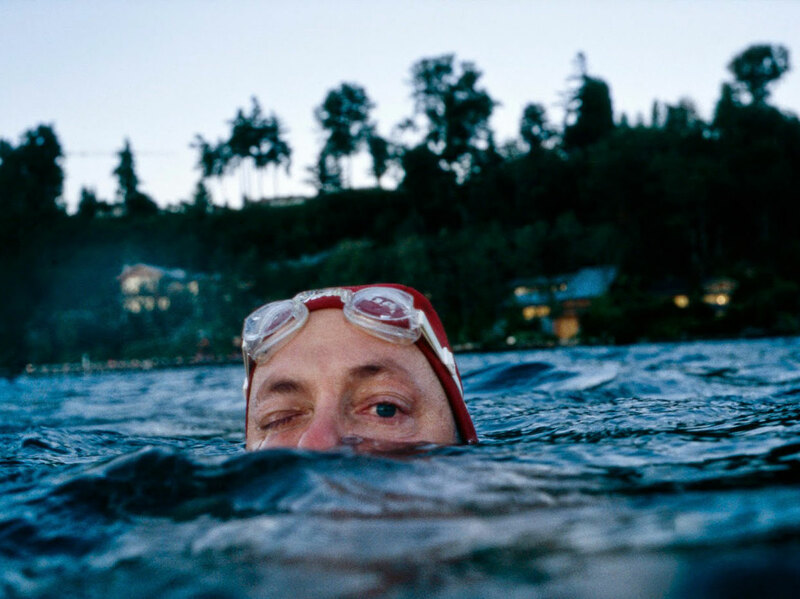 Sekula photographed himself swimming near Gates’s ‘dream house’. 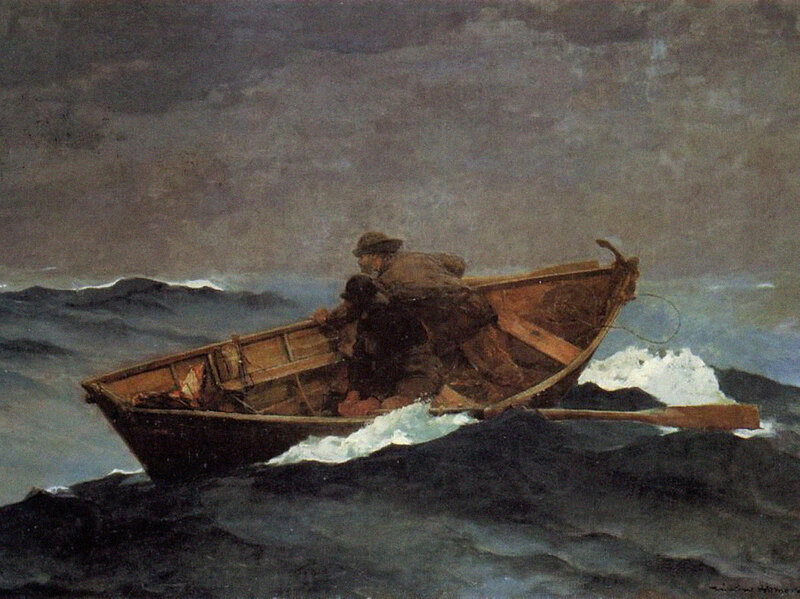 The letter concerns Gates's puchase of the painting Lost on the Grand Banks by Winslow Homer. What kind of archive is this? What is its nature? And what kind of archivist is Bill Gates? You can evade these questions by arguing that it mainly concerns a business enterprise, and a shrewd businessman. Yet based on the argument that Corbis represents a new Faustian bargain between market and culture, it may be productive to subject Corbis, as an archive, to a more theoretical examination and to highlight a few of its characteristics. In the traditional discipline of archiving, the archivist, as keeper of fundamental rights and duties, is placed between the people and the law. And in the classical archive, what is archived, as testimony and for verification, is kept for a governmental institution, or for a public official. Naturally the Corbis archive is a deviation in this regard and Gates appears as an extraordinary archivist. Gates’s archive is private: in spite of its public implications, it is Gates who decides what is included in it. In doing so he does not act as a go-between between the law and the people, but as a ‘broker’ between Corbis and the people. Gates is not keeping archive documents, he owns them and uses them for commerce. In this sense the Corbis archive is a corporate ‘stock’, a stock that remains inactive ‘pending further orders’. Some archive experts draw a distinction between ‘records’ and ‘archives’.1 ‘Records’ are archive documents in an inactive, stored form, process-linked information, that belong to a completed past; records become ‘archives’ the moment they are used for historical research or cultural reflection. Within the Corbis enterprise at Iron Mountain such cultural dynamics are sabotaged as a possibility, living visual culture is turned into passive past, the ‘archive’ value of which can no longer prove itself. Corbis freezes the ‘records’, ­literally. Their transformation into active ‘archives’ is postponed, so that the significance and symbolic value of the Corbis archive as cultural heritage or public memory remains speculative, and only the trade value is left. The Corbis archive seems to be an archive without promise, in which the originals are reduced to relics for an uncertain future. 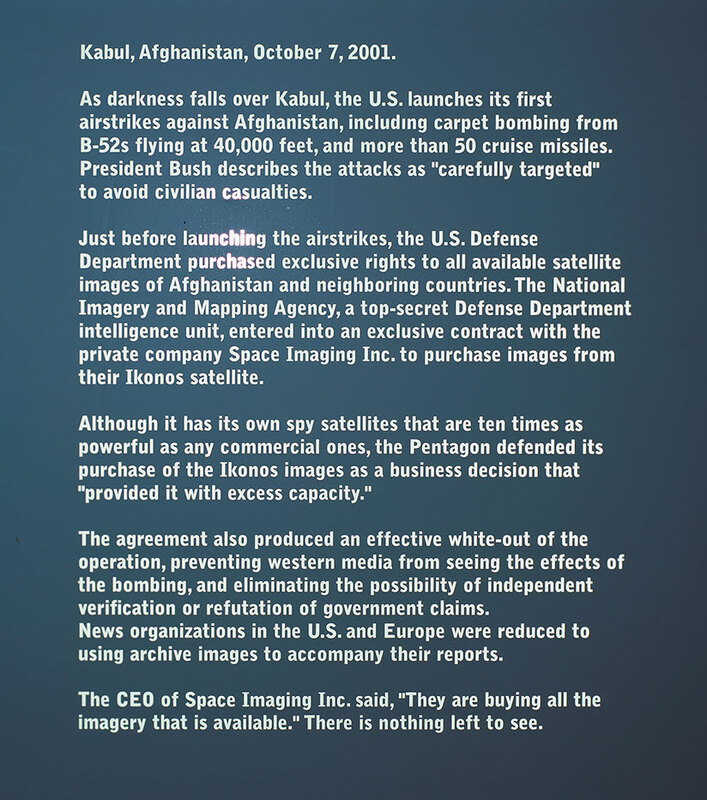 Are the images in the Corbis archive ­indeed ‘content’ stolen from the public do­main, as some would have it? Is this formerly public property, in a symbolic sense or not? The public domain, as based on the belief that there should be no private ownership of certain things in the world, such as air, stars, ideas, words and cultural heritage, is more than ever under attack. Private ownership of culture, for example, was formally made possible in 1993 by TRIPs accords (Trade Related Intellectual Properties), signed by the World Trade Organisation (WTO). These accords provide for the possibility of unlimited purchase of the rights to cultural commodities, anywhere in the world, for commercial ­exploitation. The fact is that, for instance, the Bettmann archive is now a closed private collection, of which the images of public interest are only available insofar as they already exist in other collections. Corbis makes reproductions of the originals stored at Iron Mountain, thereby underscoring its ownership of the images, as well as the ‘right’ to ask payment for their use. The firm withdraws images from the public domain in order to offer them again later, through financial transactions and in the form of copies. In doing so Gates claims control over large sections of the visual memory and has the power to decide what is visible and how much this costs. He is therefore converting symbolic capital into literal capital. By making digital versions of the images for which there is the greatest demand, an adjusted, corporate memory is created, from which coincidence and counterimage have been ­eliminated. This memory seems primarily a self-fulfilling prophecy. In the current culture theory discourse on the archive, various notions of the archive exist, of which those of Boris Groys, Jacques Derrida and Wolfgang Ernst are especially authorita­tive. They view the archive from the standpoints of, respectively, art philosophy, deconstructivism and media archaeology. What are the implications of their ideas for the Corbis project, as a quintessential current archive, and vice versa? Groys views the archive as a collection of historical, material artefacts whose goal is to legitimize the present: the archive makes ­comparison possible and one can determine what is genuinely new and what is not. ‘Der Kanon produziert Identität, das Archiv produziert Differenz. Solange das Archiv existiert, wird die Innovation sowohl möglich als auch notwendig sein. Die Frage stellt sich aber: wie lange?’2 You could argue that Gates is sabotaging this idea of culture with his non-public and this ‘non-comparable’ archive at Iron Mountain. But Groys is specifically talking about the artistic and intellectual domain – his archives are primarily museums – not about the current media culture, in which he sees the urge to innovate degenerate into a loss of memory. His ‘how long?’, however, indicates that he nevertheless finds the distinction between media space and museum space problematic. The global culture is increasingly being determined by the identical, says Groys: ‘the future belongs to tautology’.3 When the distribution and reproduction of museum originals ends up in the hands of private individuals like Gates, who determine through fashion, market and media what is relevant and therefore visible, the tautology has in fact already become ­reality. The tautology shows what everyone everywhere wants to see: this has to have an impact on the system of cultural memory, on the politics of storing, displaying and remembering. In The Topology of Art Groys argues that the difference between original and reproduction – the aura, to echo Walter Benjamin – is defined by the connection of artefacts to a place.4 According to Groys that difference is therefore topologically determined and the museum is the obvious topos of the origi­nal. This relatively circular argument breaks down with the post-museum Corbis archive at Iron Mountain: if the originals at Iron Mountain have auras, they are at the very least frozen auras. Perhaps the ultimate consequence of Groys’s reasoning is that images in the mine have been definitively stripped of their original status: the digital Corbis archive has a destructive effect on the originals. It may be time for a ‘topology of reproduction’. In Archive Fever: A Freudian Impression, a psychoanalytic deconstruction of the archive, of its concept and structure, Derrida also ­speaks of topology, but then of the topology of the archive itself.5 In an etymological explanation he em­phasizes the topological principle of the archive, by arguing that ‘(...) the meaning of “archive,” its basic meaning, comes to it from the Greek word arkheion: initially a house, a domicile, an address, the residence of the superior magistrates, the archons, those who commanded.’6 From a domestic positioning of authority Derrida views the archive as situated between the private and the public, between the law and the home, between home and museum. He also identifies the archivist, the ‘archon’, as the keeper of what is archived, who has also been given the power to interpret the archive. In Archive Fever, published in 1994, Derrida also focused on the implications of the electronic medium of e-mail for the archive, as a writing and storage technology that can completely transform the public and private space, and therefore the archive, that will have an impact on rights concerning ownership, publication and reproduction.8 More recently media theorist Wolfgang Ernst made an extensive inquiry into the transformations of the archive by digital media. Ernst views the interactive potential of documents in dynamic networks as a new opportunity for the digital archive and identifies a new topology: ‘(...)nowadays the static residential archive as permanent ­storage is being replaced by dynamic temporal storage, the time-based archive as a topological place of permanent data transfer. Critically the archive transforms from storage-space to storage-time.’9 In this regard Corbis.com appears more as a webshop than as a living archive, a shop operating on registered licences and copyrights, a ‘visual solutions provider’, licensing images ‘seen by millions of people daily in advertising, books, newspapers, magazines, on TV and in films’, all with ‘maximum power, creativity, and emotion’, according to the site. There is little room for feedback here. Ernst analyses the archive from a media archaeology standpoint, by means of an ­examination of its technological conditions, concerning not the narrative memory of the archive, but non-discursive practices. ‘Power is the area where narratives don’t take place; the rest is interpretation. The archive registers, it does not tell.’10 In this perspective archived data are not intended for historical or cultural memory, but for the memory of organizations, such as the state, corporations or the media. This seems literally the case with Corbis, although the company claims to be serving our memory. The Corbis archive is not dedicated to memory, but to the practice of storage in and of itself. In ‘cold storage’ conservation is the priority. In this sense it is indeed an archaeological archive avant la lettre, an ice-cold, artificial, archaeological site, an ultimate dystopian place. Corbis is out for ‘image control’: the company does battle for and with the images of the world. On the one hand with images as digital copies, which continually ‘reel’ reality, and are supplemented according to the workings of the market. On the other hand with images as originals, which are set aside for an indefinite time, kaltgestellt. But for whom? Corbis, in Latin, means a ‘woven basket’ and is an allusion to the ‘basket of images’ that the company ‘offers’ to the world. To a large extent, however, Corbis is a black hole, a vanishing point for images. Gates has created a necropolis for visual memory, a repressed memory and an ‘underworld’ in which faith in representation through the image has disappeared forever. On top of this he is creating an empty universe, a substitute culture in his image, in which the image no longer has any meaning. The public domain, the cultural and intellectual heritage, is in anger, in copyright terms, of falling into the hands of a select few, who can undermine it completely. Power over distribution of the image then becomes a purely economic and financial transaction, in which no account is taken of the location, with those that are linked to the reality that preceded the image, with as a result a total cultural homogenization and a unilateral hegemony over the money flows that now seem to define culture and heritage policy. Some people are calling for culture to be taken out of the WTO, and within UNESCO an effort is underway to come up with a ­binding convention for the preservation of cultural diversity. In any event, these new ­shadow economics and politics of the image require engagement, involving a renewed awareness of ownership, exchange and place in relation to the public domain and memory. Certainly art, as a discipline quintessentially linked to the visual and the public, will have to provide an account of this. There is a lot at stake. Who owns this image? For whom is this image intended? In whose behalf is this image made? Where does this image come from? Where is this image? 1. See for example Eric Ketelaar, ‘Waarde(n) van archieven’, Archievenblad 108 / 2, March 2004, pp. 16–19. cf.hum.uva.nl. 2. Boris Groys, ‘Die Zukunft gehört der Tautologie’ (1995), in Logik der Sammlung. Am Ende des Musealen Zeitalters, Carl Hanser Verlag, Munich / Vienna 1997, pp. 81–92, p. 86. 4. Boris Groys, Topologie der Kunst, Carl Hanser Verlag, Munich / Vienna 2003. 5. Jacques Derrida, Archive Fever: A Freudian Impression, The University of Chicago Press, Chicago / London 1998 (originally published as Mal d’archive: une impression freudienne). 9. See the essay by Wolfgang Ernst, ‘The Archive as Metaphor’, in this issue. See also Wolfgang Ernst, Das Rumoren der Archive. Ordnung aus Unordnung, Merve, Berlin 2002. The archive has ­become a universal metaphor for all ­conceivable forms of storage and memory. Seen from the ­media-archaeological ­perspective of the Ger­man theorist Wolfgang Ernst, ­however, the archive is not dedicated to memory but to the purely technical ­practice of data storage: any story we add to the archive comes from outside. The archive has no narrative memory, only a calculating one. In a digital culture, Ernst says, the archive in fact changes from an archival space into an archival time, in which the key is the dynamics of the permanent ­trans­mission of data. The archive then ­become literally a ‘metaphor’, with all the possibilities this entails.